can u tell which phone has the better quality of sound between 6280 and n70..i heard 6280 is got a better than n70..is it true? ?u did'nt mention about the sound quality from ur opinion..i heard 6280 got sound setting but n70 does'nt have it?? wow! rly kewl fone! only 1 fing wrong wid it, datz the cam slider comez loose aftr slidin it a few timez. it still haznt fallen off tho. p.s i just got n80 'n' dat is keweller!!!!!!!!!!!! Alot of people are saying that with a 1 gb card vid choppy i have not found this at all, how can you use the camera as a Webcam??? I agree what Ji.v said, most of the comments what Absar posted was incorrected. I suggest that next time Absar, any comment must checked and think twice. So I am just wondering if you really used that phone to produce so much false information. I have a question,is there any difference about the photo/image quality between N70 & N90 besides the Carl Zeiss option in N90? I mean the image quality,is it the same or the N90 is better when it comes to image quality. Plz i need some answer cuz i am planning to switch to N90 from N70. Thanks. 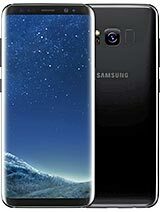 Does anyone have this phone in the U.S.? Im wondering can u make the language on it english, becuase all the photos of the menus are all in another language. hey people..i've been reading all theze comments from a long time...and now plzz dont compare N70 with 6280..plzz...let me giv ya the reasons..
1)N70 is much better in shape and design. 3)N70 has a five way scroll key and 6280 has 4 way..
6)N70 is the latest Serie 60 mobile and 6280 is an old serie 40 mobile. 7)N70 has a facility to print images straight from the mobile and 6280 doesn't. 11)N70 has two cameras 1 in front and 1 at the back and 6280 has only 1 on the back. 12)and now you can use N70's front camera as a web cam too and 6280 wont get this option till the end. 13)you hav got too much from the internet to download for N70 but for 6280 there are only few useful things.. So people plzz dont compare N70 with 6280 coz theres a hell of a difference between theze both mobiles..!I've used both mobiles and theze days i hav N70 ..N70 rockxxx..and now use your common sense which one you need to buy!! Originally I was a little bit hesitant about this phone, reading all the reviews. I finally decided to buy it and I was not disappointed. Exceptional phone, amazing what is capable of! It synchonizes with outlook with absolutely NO problems. Adequate battery life, fantastic camera, enough memory that can be further expanded with the low cost RS-MMC cards. I had heard the device is slow but I really don't believe this is the case with that phone. I have owned it for 3 days now, haven't left it from my hands, and I am absolutely excited with my purchase! Highly recommended! Well done Nokia! PS:My alternatives were SE W810i and K750i. Great phones but not comparable. 1. Would a Kingston RS-DV-MMC card good? Do I need to reformatt it first or Restore Factory default first before putting into my N70 card slot? Cos last time, I heard that there were manyproblems with this brand..
2. Which is better in performance and in speed? i hav 1 question... is dis phone really slow? or not? if yes, y slow? how do u say it is slow or how do u descrbe slow.. tnx..
i hav my 6630 and plning 2 buy dis phone.. but i ned mor sugestion... pls help... if i shud get dis phone or shud i stay with my 6630.. i want dual cam for vdeo call. thats it. tnx again..
i just trade-in my N6600 to N70. After three month i use (N70) i feel that the speed sometimes slower that my old N6600.. I decide to upgrade firmware V5 tomorrow. All Symbian SmartPhone almost same only the style change. Nokia grab our money, but we pay what we get..
hi im really contemplatnig on giving this phone back. A) the gallery view comes up as a slide show. All my pics on display dont want everyone seeing this. on 7610 you had them in folders is that not possible in this. i know they have albums but theyre viewed through slide show. b) does this phone support powerpoint excel word, cause i cant find none. C) should i wait for n80? ive got this fone but really contemplating wether to give it back. A) dont like th gallery field i had a 7610 where you viewed pics in folder here its a slide show with all pics on display i know you can add albums but first have to go into the slide show. B) does anyone know if this phone accepts powerpoints word excel sheets? i thought it did? c) du think i should wait for n80? Hi friends,can anyone tell me what is cif and qcif video recording,and which one is better,thanks.